Ex-Russian Railways chief settles defamation dispute with Novaya Gazeta | Russian Legal Information Agency (RAPSI). MOSCOW, February 8 (RAPSI) - Ex-chief of Russian Railways Vladimir Yakunin has come to an amicable agreement with Russia’s Novaya Gazeta in a defamation dispute, the spokesperson of Moscow’s Basmanny District Court Yunona Tsareva has told RAPSI. The court has approved the agreement of Yakunin’s lawsuit against the newspaper and journalist Irek Murtazin, the court’s representative has said. Thus, Novaya Gazeta must delete and refute information published in one of the articles that became a point for the lawsuit. According to the newspaper’s spokesperson Nadezhda Prusenkova, Yakunin was dissatisfied with journalists’ wording in a publication concerning the murder of the Interior Ministry Transport Department’s major case investigator Yevgeniya Shishkina. He claimed that phrases written in the article about his son and a fund of his friend are false and discredit him, she said. However, the parties have not settled Yakunin’s claims concerning another publication of the newspaper. The hearing will continue March 1. 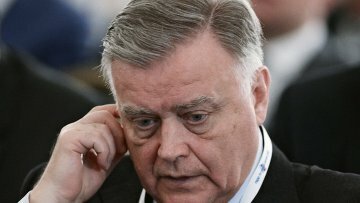 13:01 08/02/2019 Ex-chief of Russian Railways Vladimir Yakunin has come to an amicable agreement with Russia’s Novaya Gazeta in a defamation dispute.